Apple Valley, MN has a population of around 52,000, offering a variety of salons and tourist attractions, including the Minnesota Zoo, and several parks and recreational options. In the warmer months, many enjoy golf, volleyball, kickball, softball, tennis, and more. There are numerous salons in Apple Valley, but here are just a few of particular quality or excellence you may want to consider for your next visit. Salon Jubilee, 5480 141st St. W, Suite 100, Apple Valley, MN, 55124. 952-683-1601. They offer services for men, women, and kids of all ages, also offer competitive pricing. You will find the beautiful Salon Jubilee in the heart of Apple Valley, where they always prioritize their customers’ needs, working hard to match each personal lifestyle and personality. Uno Bello Salon provides exceptional services for women, men, and children, including; color, haircuts, waxing, nails, and more. You will find them in a convenient location:13335 Palamino Dr, Suite 201, Apple Valley, MN, 55124. 612-275-1839. Take advantage of their spa services to rejuvenate your skin with a facial. Revive Salon & Spa offers highly trained staff whom create a fun and relaxing atmosphere for each and every client. They provide a variety of hair services, including; color, highlights, haircuts, special occasion hair, extensions, and more. Revive Salon & Spa also offers facials, waxing, makeup, and nails; perfect for that special occasion, wedding, vacation, or event coming up. They are located at: 15332 Galaxie Avenue, Suite 122, Apple Valley, MN, 55124. 952-953-903. Salon Concepts 7548 W 149th St, Apple Valley, MN 55124. This salon offers each a client a unique, personalized experience, as each salon owner has their own suite. Hairstylists are able to showcase their own retail, wall decor, and more with their own individual style. The concept of salon owners having their own suite, allows clients to have a more intimate, private, and uninterrupted service. You will find a variety of services offered at these locations, including, hair, nails, waxing, massage, and more. Cole’s Salon has an experienced team of employees that focus on delivering exceptional customer care and superior technical skills. This salon provides high quality equipment in a state-of-the-art facility. You will find Cole’s Salon in the south metro at: 15050 Cedar Avenue, Southport Center, Apple Valley, MN, 55124. 952-891-4112. They provide quality and diversified services in hair, nails, and spa. Some of their signature products include, Bumble and Bumble, Aveda, Oribe, Image, and Eminence. 3L Nails is a very elegant salon located in a busy shopping center, that offers excellent service with very high quality tools and equipment. You will find them at: 15465 Cedar Avenue, Apple Valley, MN, 55124. 952-891-3859. 3L Nails follows very strict sanitation guidelines to ensure each client’s safety and satisfaction. 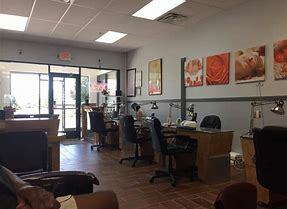 In addition to their basic, spa, pedicure and manicure, and acrylics services, 3L Nails also provides eyebrow waxing. They offer competitive prices, and also special discounts for wedding parties, or Girls Night Out. Check out their gift certificates for that perfect holiday, birthday, thank you, or wedding gift.